There is a great big galaxy out there, home to infinite planets, moons, and stars. 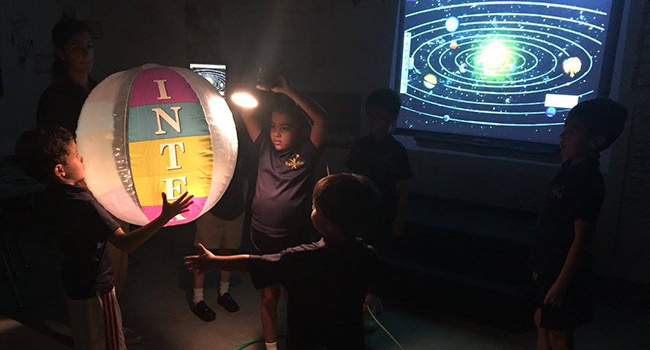 This cosmic playground we call outer space, or space for short, provides endless opportunities to support children as they explore and learn about their environment far from Earth. One only needs a clear night to start a dialogue that piques a child’s curiosity about space and what can be accomplished when they have big dreams. Born during the feminist movement of the 1960s and 1970s that sought equality for women in the workplace through better jobs and salary equality, Nyberg found that her early desire wasn’t taken seriously. “When I first said I wanted to go to space, people thought it was cute,” she says. But instead of dissuading their young daughter, Nyberg’s parents often told her that she could do anything. They encouraged her extracurricular activities, such as band, choir, and sports, and fostered her diverse interests. In addition to being an astronaut, Karen is also a mother who is dedicated to exploring space and to making sure her son keeps learning and dreaming big. The possibilities of outer space gave Karen inspiration at an early age. 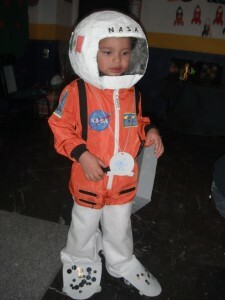 National Space Day can provide that same inspiration for your child. 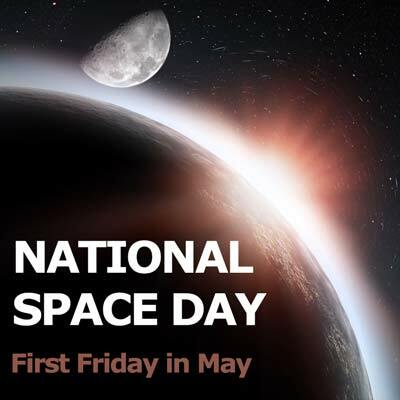 On the first Friday of May, the annual National Space Day celebration spotlights different aspects of education in the exploration and use of space. The goal of National Space Day is to promote math, science, technology and engineering education in young people to inspire them to pursue a career in science, especially a career in space-related jobs. See NASA’s Kids Club website for ideas on how you can celebrate Space Day! FasTracKids also offers our own version of space exploration with FasTrack Camps: Destination Constellation. Your child becomes a “FasTronaut” while learning about how astronauts train, live and work in space.